Married for eight years with no children to help fill her days, Heidi Troyer cooks up the idea of teaching classes in the art of Amish cuisine in her home in Holmes County, Ohio. But it is a recipe for drama when five very different men and women answer the advertisement. Charlene Higgins is engaged, but to the despair of her fiancé’s family, she can’t cook. Kendra Perkins, a teen estranged from her family, is facing an unwanted pregnancy alone. Loretta Donnelly, widowed with two children, would like to simplify her life. Ron Hensley, a Vietnam Vet, parks his RV on the Troyer farm. 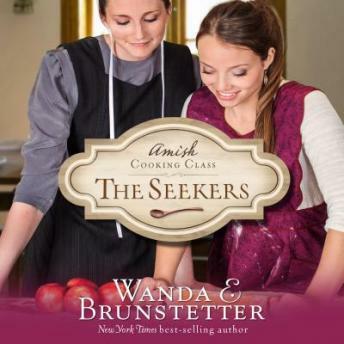 And Eli Miller, an Amish widower, needs to learn how to cook for himself. Class members share details of their disappointing lives, work to solve a mystery, and stir some romance into the pot. Suddenly, cooking classes at Heidi’s house become life lessons . . . and their souls are healed one meal at a time.